This quilt block was designed to represent the Younker German heritage and the Younker family patriotism and love of country. Speaking of the Younker German heritage, when our family arrived in the area in the early 1700’s, the Younker name in German was actually spelt with a “J” as in Jounker. However, it was pronounced as an English “Y”. Somewhere along the line, and it is believed it was during a government census bureau taking, the name was spelt with a “Y” and it became Younker. If one looks at the center of the quilt block, you will see that the letter is made to look both like a “J” and a “Y”. 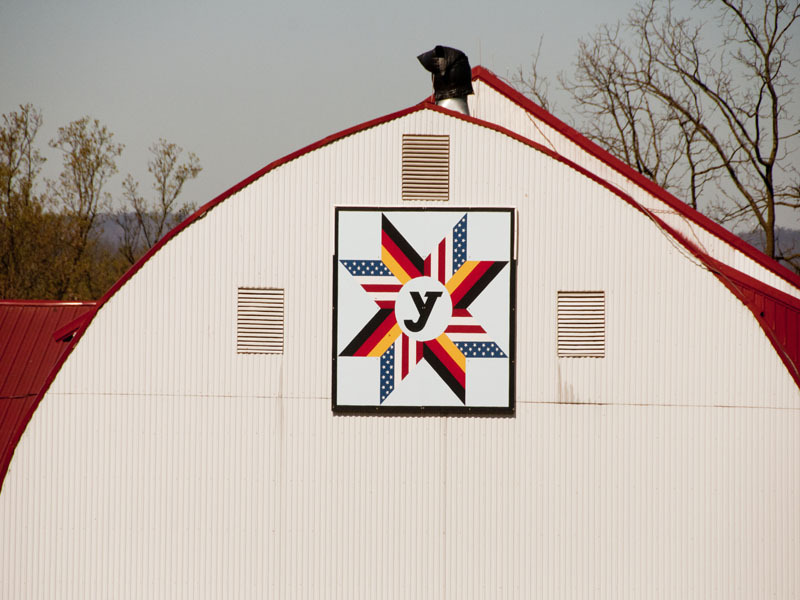 The Younker Family has a very long history here in Fulton County and we are very proud to be a part of the trail and helping the Barn Quilt group get off the ground.